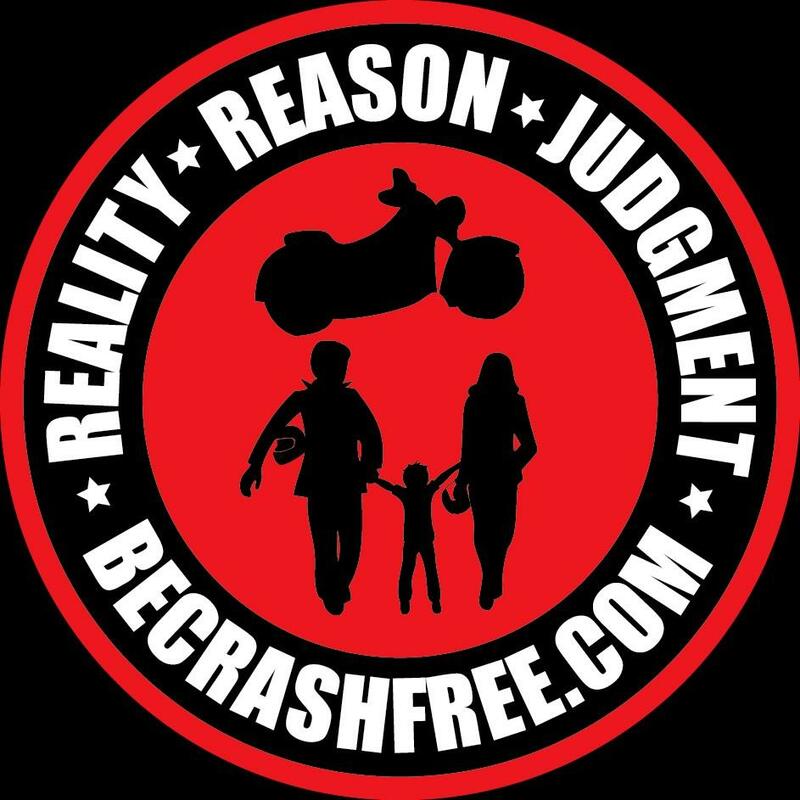 The BE CRASH FREE APP - check it out yet? 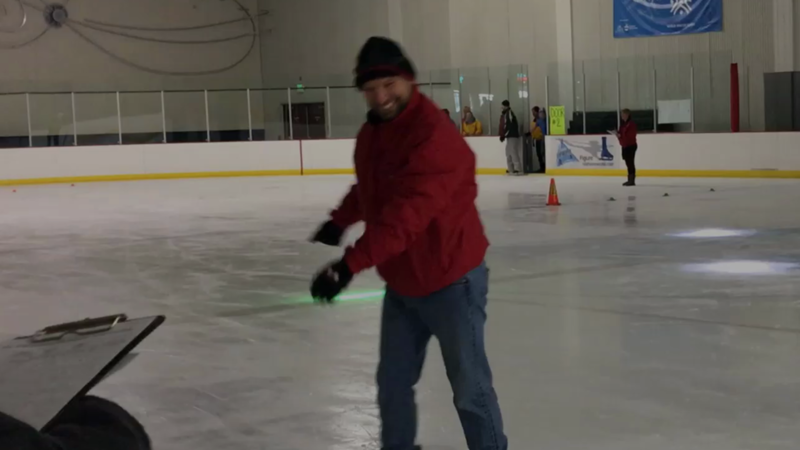 I am Steve Kirsch with Be Crash Free. This Micro-Blog will be a new way for us to share current information with you. I look forward to telling you what we are up to and what's new in the BE CRASH FREE world. Expect to see information here on a weekly basis. Feel free to email with questions or input at [email protected]. And so begins the "what's new in the Be Crash Free world" Micro-Blog. Have you tried our new Be Crash Free APP yet? Did you know that you can get it from either Apple's APP Store or the Google Play Store for FREE? From the search engine window at either site look for "VR Motorcycle Safety." Our new APP has three sample Virtual Reality video experiences for you to try. You do not need VR Goggles to watch but if you do have a pair each experience is even cooler! Right now the App is free and so are the sample video experiences. Lessons from the port-o-potty (or Why I bought life insurance). 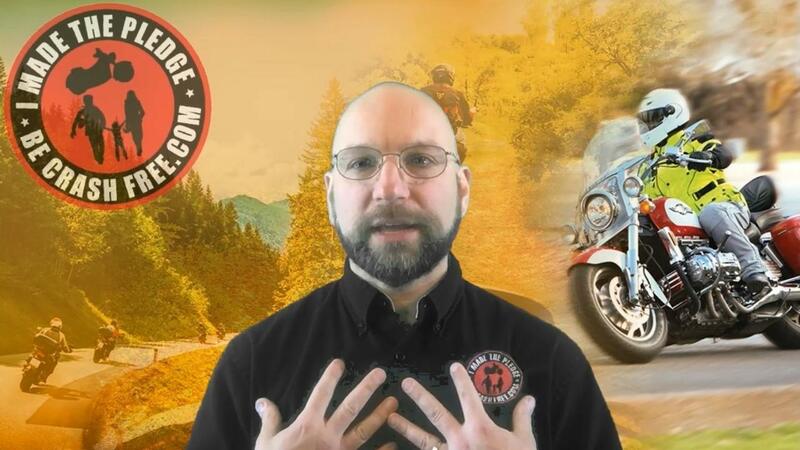 Here is a riding tip in honor of motorcycle safety and awareness month. Ride well everyone, and Be Crash Free! "Patches?? 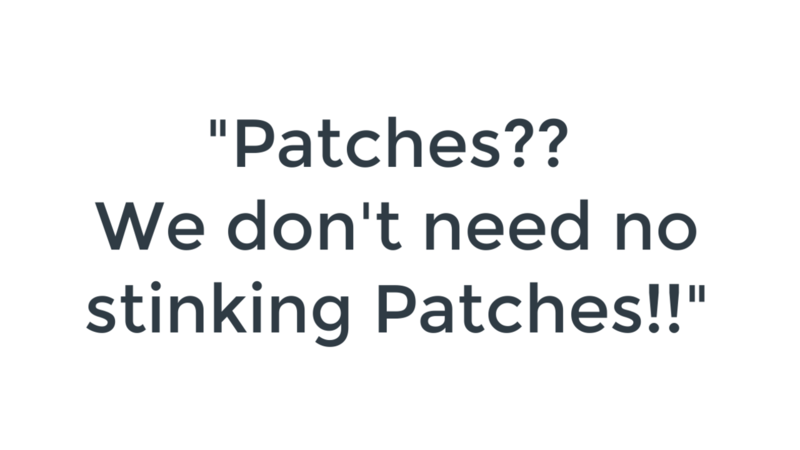 We don't need no stinking Patches!!" Not surprisingly, I have a Be Crash Free patch on my riding jacket and a few Be Crash Free stickes on my helmet (gotta fly the company colors!). The purpose of the patch and sticker are to be physical, visual remindrers to members about the pledge and commitments they have made to themselves; to support them in making choices that are in alignment with those commitments and values. Last week, that patch and that sticker provided ME with that reminder and probably kept me from poor riding performance and an embarassing (and likely painful) crash. Click the short two-and-a-half minute video for the story. Members - it is my wish that YOUR patch and YOUR sticker serve you in the same way (and many times). • Have you ever made a braking mistake or hit a slick spot, putting you into a skid? 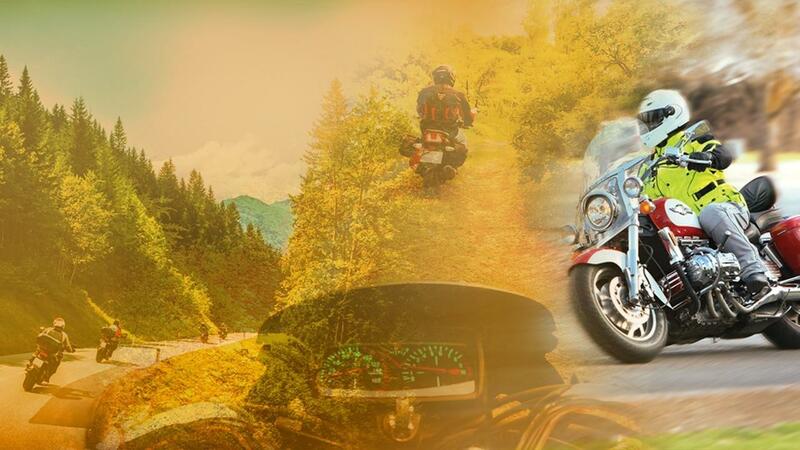 • And have you ever worried that if something goes wrong in front of you (like the car brakes hard or even rear ends the car in front of them), that you may not get stopped in time? I spent last Saturday at a motorcycle safety instructor update training. This is something that happens in every rider training program I am aware of and the purpose is for instructors to continue to get better at the business of teaching riders. It was a day well spent and I took away a few "nuggets" that I look forward to applying in my teaching. But more than that, I was reminded of the passion and commitment of the hundreds and even thousands of motorcycle rider training instructors around the country. 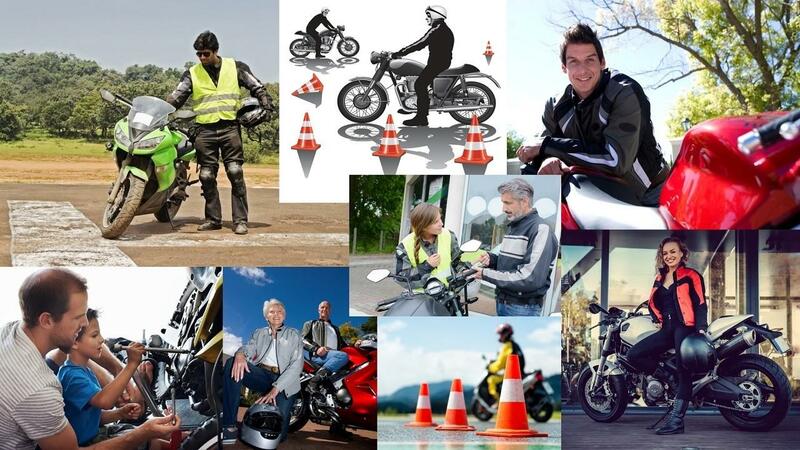 These are men and women who spend countless hours standing on the asphalt in the heat, the cold, the rain, and sometimes in the snow, to serve motorcycle riders in their efforts to get their license, learn basic skills, learn advanced skills and to prevent and survive crashes. 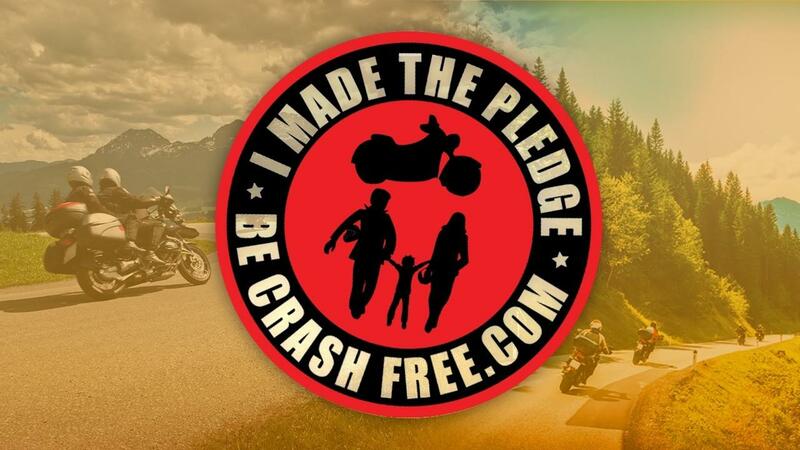 Hey everyone, this is Ax, founder and president of Be Crash Free (www.BeCrashFree.com) where our mission is to inspire and empower the motorcycle riders of America to prevent and survive crashes. So just what IS Be Crash Free? 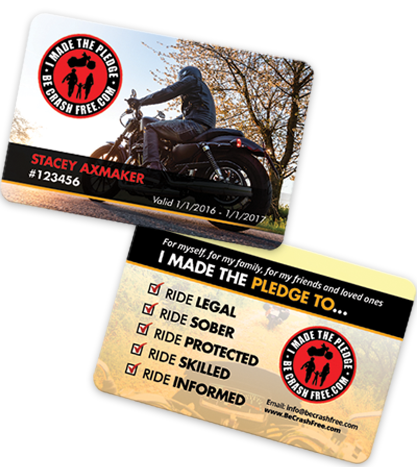 membership, riders make “the Pledge” – a pledge to Ride Legal, Ride Sober, Ride Protected, Ride Skilled, and Ride Informed. The pledge is to themselves, for themselves. Members receive a membership card, a sew-on patch, and a reflective helmet sticker. Every month, members will get a riding tip as well as a reminder of the pledge they have made. In addition, members get discounts from a variety of partner companies. We are free to choose. However, we cannot escape the need to choose or the consequences of our choices. In my home state, we have had several motorcycle crashes in the news lately. Some were fatal…some were not. The crash factors reported have been varied: animal strikes, gravel, tailgating resulting in a rear-end crash, running wide in a corner, car violating the rider’s right-of-way, etc. Some riders were wearing gear…some riders were not. People (riders and non-riders alike) will often talk about a crash in a similar way – "Oh, that rider didn’t know how to corner/brake/balance/etc. THAT’s why they crashed.’" The assumption seems to be that if the rider had more knowledge (how to use the front brake assertively, how to press on the hand grip to increase lean, etc. ), the crash would not have happened. In this article, I will suggest that this is not the case. Here is my story of a crash – a crash on the river in an inflatable boat. In 2006, my wife and I wanted to spend some time on the river. So, we signed up for a beginner level kayak class. The class was an entire weekend of time in the water. We started with some briefing, then we got in a very calm lake, then on a pretty calm river, then the next day progressed to a more challenging river. 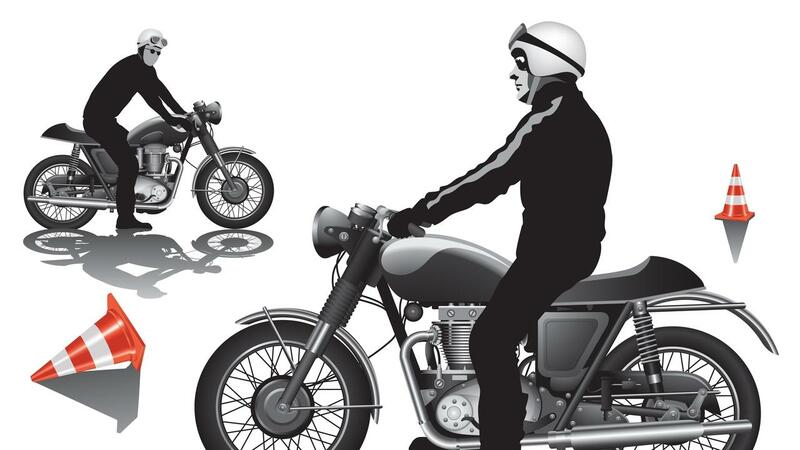 This follows a very similar pattern to motorcycle rider training in a "learn to ride" class.